MaryAnne (Courtney) Giuggio, age 74, passed away in the Norwood Hospital on Wednesday, March 20, 2019. Born in Boston, Massachusetts on December 8, 1944, she was the daughter of the late John P. and Lillian E. (Kelleher) Courtney. She was raised in West Roxbury and graduated from Saint Claire’s High School in Roslindale with the Class of 1962. Following graduation, MaryAnne enrolled in the Quincy City Hospital School of Nursing, earning her RN in 1965. She took a nursing position with the Veteran’s Administration Hospital in West Roxbury and the Lemuel Shattuck Hospital in Jamaica Plain. MaryAnne married her beloved husband, Robert J. Giuggio, on October 1, 1966 in Saint Theresa’s Church in West Roxbury. The young couple made their home together in South Walpole, Massachusetts, where they welcomed their daughter, Jane. MaryAnne took a position with the Norwood Hospital, working as an Intensive Care Unit nurse and went on to work at Briarwood Rehabilitation and Healthcare Center in Needham. She retired in 1999, after 30 years of dedicated service to her patients. Throughout her life, MaryAnne was an avid reader and loved spending time at the Walpole and Norfolk Public Libraries. Back at home, she loved spending time with her dogs. More than anything, MaryAnne was devoted to her family. When her daughter, Jane was young, MaryAnne spent countless hours volunteering as a Girl Scout Leader. In her retirement, MaryAnne was delighted to help raise and care for her two grandchildren, Emma and Robert. 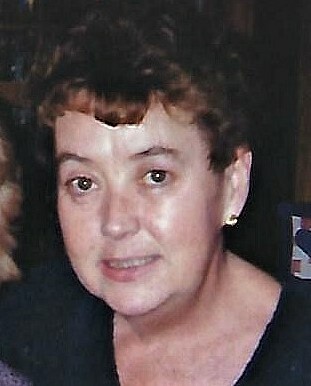 Beloved wife of Robert J. Giuggio. Loving mother of Jane E. Powers and her husband, Kevin R., of Norfolk. Cherished grandmother of Emma Rose Powers and Robert Joseph Powers. Sister of John Courtney of West Roxbury, Elizabeth Nazzaro of Attleboro, and Frances Courtney of Virginia. Devoted aunt of Laura Laird of New Jersey. Relatives and friends are kindly invited to attend MaryAnne’s Life Celebration on Friday, March 22, 2019 from 5 to 7 PM in the James H. Delaney & Son Funeral Home, 48 Common Street, Walpole. A Funeral Home Service will be held on Saturday, March 23, 2019 at 10:00 AM and interment will follow in Saint Francis Cemetery in Walpole. In lieu of flowers, memorial donations may be made to: The American Lung Association, 1661 Worcester Road, #301, Framingham, MA 01701.